Mining is an activity that has always been carried out with powerful tools and equally powerful men. Always associated with the strong and the brave, mines are actually a scary enough place, to begin with. The damp, dark and dimly lit caves which function as mines are almost always met with a certain uneasiness, and the very task of mining is often left best to the experts, the experienced miners themselves. And yet, times are changing. This is the age of technology, the age of breaking down old norms and building new and more suitable conventions. This is an era of change. And just like anything else, the mining industry has been touched by all of this as well. Mining is no more associated with simply physical strength and back-breaking labor. It is in fact, now something entirely different, and profitable to the max. This is the age of cryptocurrency mining. The world still hasn’t fully recovered from the massive worldwide phenomenon that the Bitcoin turned out to be. 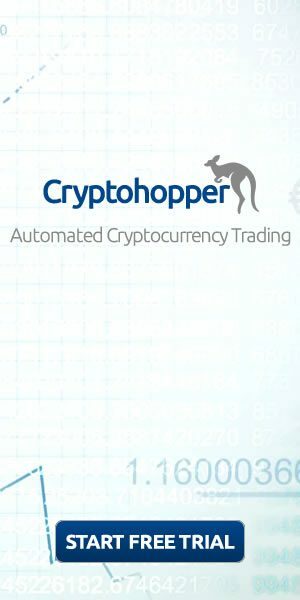 Since then, we were introduced to a plethora of other similar currencies, all of which came with their own unique features and profits. And now that the entire world is more or less enamored by the potential of the cryptocurrencies, we’re introduced to the next revolution that promises to bring about another ripple in the financial sector, that of cryptocurrency mining. Just like regular miners mine for precious metals such as gold, silver and diamonds, these new age miners mine for cryptocurrencies. Bitcoins, Litecoins, Dash, Ethereum along with a lot many other crypto coins can be mined for, and every single one of them is no less valuable than the other. Deep down, mining for cryptocurrencies is actually a pretty complicated activity. It involves verifying transactions on the blockchain such that utmost transparency is maintained and no forgery takes place. It is a way of ensuring that the Bitcoin or any other other cryptocurrency remains decentralized and no singular entity or organization gets the power to act as a regulatory body. As for the miner’s job, they make use of some complicated hardware, most commonly called a mining rig, to solve complex computational problems and mathematical algorithms. Since there are a lot of miners scattered across the world, it becomes akin to a competition and whoever gets to the solution first, gets to keep some amount of coins of the concerned currency for themselves. On the surface level though, it is all about choosing the right mining rig for yourself, understanding your needs and making the correct purchase. If you somehow end up making the wrong choice and purchase a miner that doesn’t quite fit your needs, there’s a pretty strong chance that your mining career will be unusually short lived. A miner is as critical to the success of your venture as fuel to an automobile. Without the correct rig model to support your mining, you simply won’t be moving much forward. Keeping the above facts in mind, we now move on to the crux of the article. We aim to provide you with a pretty comprehensive and user-friendly review of one of the latest models of a long chain of Bitcoin miners. Launched by one of the strongest players in the crypto mining business, namely Antminer, this model promises to give you everything that you could possibly be looking for, and more. The primary selling point of the R4 is that it has been completely optimized for home usage. Oftentimes, when a person buys a miner, they end up having to only undertake restricted usage of the same simply because of the excessive ruckus that comes packaged with it. As soon as the miner is switched on, it generates unusual amounts of noise that is by no means, healthy enough for residential use. Prolonged periods of activation may even cause serious problems with the inhabitants of the residence, or any immediate surrounding localities. To avoid such problems, the miner must come with a suitably placed limiting cap on the sound generated by the machine. Now while some miners and manufacturers to follow this practice, and take great pains to ensure that the miner stays within the prescribed noise levels for residential usage, a lot of other manufacturers are unable to do this simply because the associated hardware complications do not allow for such a change. Fortunately, the Antminer R4 has been designed for this very purpose. The fans housed in the R4, which in case of any other device, are the primary sources of noise, function in a much noiseless manner, leading to a severe downfall in the associated nuisance. 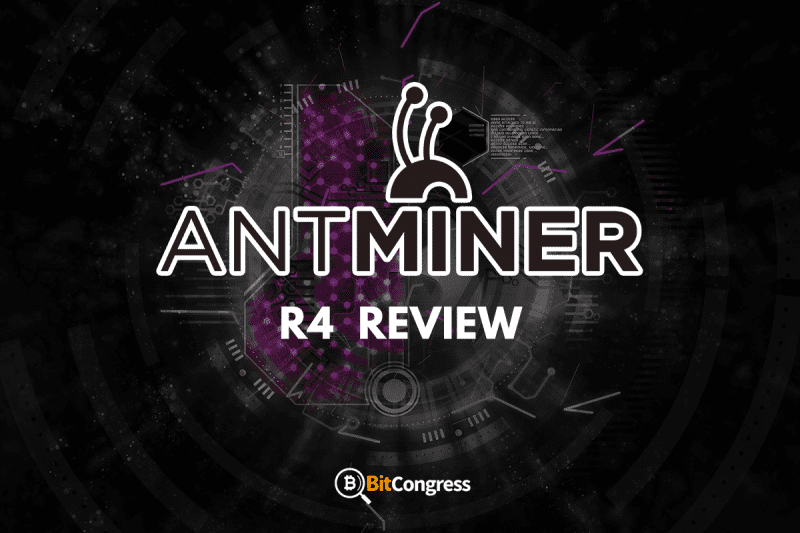 Another great selling point of the Antminer R4 is that it happens to be one of the most efficient miners to have ever hit the market. As explained above, one of the greatest features that come with the R4 is its superior efficiency. Since efficiency is a direct product of the hash rate of a miner, it seems only natural that the R4 boasts of the second highest hash rate among all of the miners available in the market today. In terms of pure efficiency, the R4 is second only to the Antminer S9, and ahead of the Antminer S7. The R4 gives you a hash rate of 8.6 TH/s, which is pretty amazing if you think about it. Such amazing hash rate on a miner severely affects the profitability associated with the rig and puts it way above almost all of the other competition in the market. Another direct measure of the efficiency of a product, miners or otherwise, is the amount of electrical power it consumes. A product may be superlative in all its features, and might have simply the most intuitive functionalities to have ever been implemented, but if it happens to have some pretty unreasonable power consumption demands, then in a way it is no better than any of the other variations in the market, since the net user satisfaction does not in any way experience a raise. The amount of power consumed by the R4 is 0.098 J/GHs. This is exactly equal to what the S9 has to offer, and which is also arguably the most efficient miner on the market. The Bitmain R4 houses the BM1387 chip which is manufactured using the 16nm FinFET technology offered by TSMC. The record-breaking energy rating of 0.098 J/GHs easily makes it the most energy efficient miner ever on sale. As for these 16 nm chips which are the driving force behind the almost unbelievable efficiency offered by the R4, they were first manufactured by BitFury and later went on to be offered by TSMC. Another point to note here is that although you might find high hash rates and great energy ratings on devices separately, it is actually pretty rare to find a device which doesn’t just offer amazingly high hash rates but also severely limits the amount of energy the device will end up consuming. Such combination of features has perhaps almost never been seen before in a single rig, making the R4 certainly one of the best devices to have ever been launched. The Antminer R4 doesn’t exactly come cheap. However, if you think about, what good thing has ever come cheap? With the amazing host of features that come bundled within the R4 and unbelievably high values of the characteristics it has to offer, it comes as no surprise that the R4 comes at a price higher than the market average. However, we firmly believe that even the aggravated price tag is by no means sufficient enough to justify all that the R4 has to offer, which means that even if you happen to buy it at its current price, you would be getting a stellar deal for yourself and signing up for one amazing device. Priced at a slightly high $1000, the R4 is certainly more expensive than a lot of other devices out there, but also cheaper than a good many lesser performing rigs. However, the cost of the product certainly does put the R4 out of the scope of the average hobbyist miner, especially the ones who only want to test the waters of mining first. Dedicated miners on the other hand, can benefit greatly from this device, even at the increased price. The R4 has been designed with one simple goal, which is to satisfy its users. With an intuitive user interface and a stellar website structure, this one certainly puts user satisfaction at the forefront. The portal has been designed with great care, and the structure of the menus and panels make for some pretty smooth and fluid navigation between pages. Additionally, in order to start mining, all you need to do is set up your wallet and provide the address for the same. Next, you need to customize and save your mining pool settings, which will lead to a fantastic and personalized working experience for yourself. A couple of unique features which aren’t easily found in other generic miners are the ability to control or regulate aspects such as the speed of the fan or even the frequency. As already explained, the R4 is the second most popular miner available on the market today. It is second only to the S9, and as a result is highly profitable as well. This is because the profitability of a miner is a direct consequence of its hash rate. 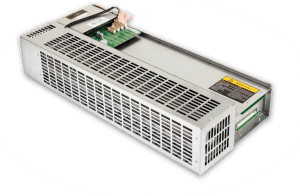 Now since most of the hobbyist miners are interested solely in reaping profits and making money from the coins mined, the R4 has been designed to have a power consumption of around 845 watts with an APW5 PSU power supply. As for this energy requirement, you don’t need to worry much since most homes will have an outlet that caters to electrical requirements of this order. However, it can’t be denied that as you start using the miner, you will soon start experiencing a severe rise in your energy bills and electricity consumption. If you consider your total investment to be $1000 for the miner and about $240 for the power supply, then as per the mining calculator, it would take you approximately a total of 527 days to earn back your investment and start earning some real profits. The above information, however, is subject to the fact that your energy bills stay in check and must always remain below the upper limit cap of $0.10 per KwH. Now what this means for you is that if you happen to buy an Antminer R4, then sooner or later you will start gaining profits, most probably after the number of days mentioned above, but there is always the big assumption on our part that all involved factors remain constant. In the world of Bitcoins, where the price per dollar is almost always fluctuating and rapidly rising or falling, such an assumption is wildly out of place. In conclusion, you are definitely taking a risk if you plan on purchasing the miner, and there can be no guarantee on how much time will it take before your miner finally starts spewing out some decent profits. One big factor associated with miners is the amount of sound they generate. While it has been seen that more efficient miners tend to generate more sound, there are always innovations being conducted in the field which are now leading to highly efficient, but at the same time, relatively noiseless devices which do not, in any way cause a ruckus for the user. 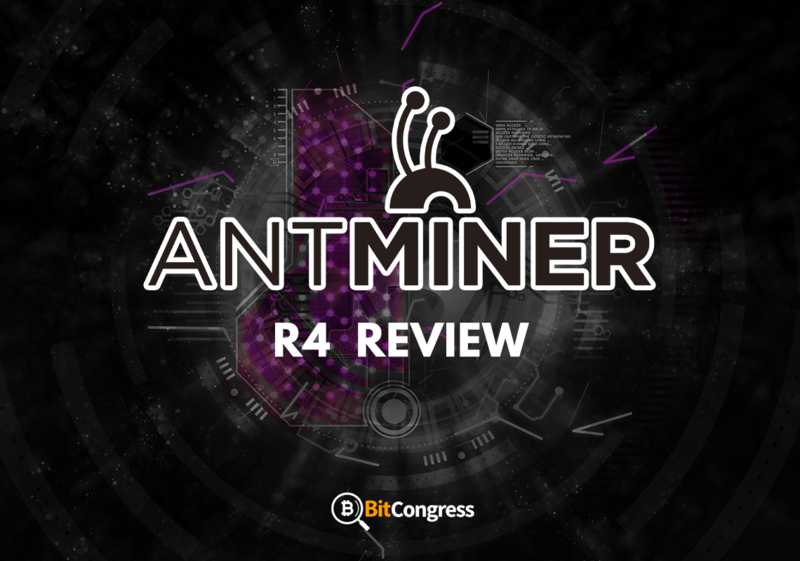 One of such new age devices is the Antminer R4. The reason why the R4 works so great is because the traditional fan system which is often used in miners has been replaced by a rotary blade system. Inspired by the cooling system and fans of a split air conditioner, which is majorly silent on use, the R4 has managed to reduce the noise involved in mining by as much as 50%. The exact amount has been measured at only 51 dB, which is pretty decent when you compare it to some of the contemporaries of the R4. Additionally, the fan speed of the rig is on automatic control, which means that the noise generated is always regulated and controlled. Antminer S9 Review - Read Before Buying it!